This week marks the grim one-year anniversary of the Haiti earthquake, yet it’s hard to find significant progress in the recovery efforts. Roughly one million Haitians are still homeless, living in 1,200 tent camps across the country. Fewer than half of the 45,000 t-shelters (semi-permanent structures) that the U.N. and other housing organizations have pledged to build have been realized. The rubble has been oppressive for the island country. Only 5% of the up to 22 million cubic yards of heavy debris has been removed, and at this pace it could take 19 years to clean it all up. Thanks to the generous outpouring of donations from governments and individuals, nearly $10 billion in short- and long-term aid has been pledged in the past year, but only $1.6 billion has actually been spent. Stumbling blocks to Haiti’s recovery include Haitian laws and taxes that make it difficult to implement aid on the ground, and the lack of coordination and cooperation among relief agencies. Why aren’t the agencies and organizations working together more often to solve these problems? It’s a simple question with no good answers. 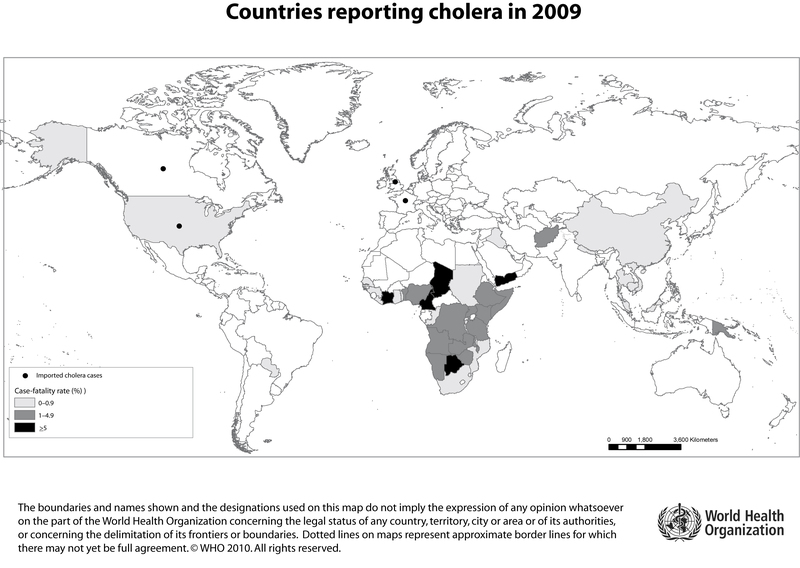 A side effect of the slow recovery has been the spread of cholera. While the U.S. has been free of cholera since the early 1900s, the disease remains active in the poorest parts of the world. Cholera, which is spread through contaminated drinking water and food, has already claimed the lives of over 3,600 Haitians since October, and scientists say the spread of the disease has not yet peaked. Because cholera was not a common disease in Haiti before the earthquake, many parents don’t recognize the symptoms. They are not taking their children to see the doctor soon enough because they are mistaking cholera symptoms for food poisoning. Clean drinking water and food, proper sanitation, and hand washing are the best ways to combat the spread of this disease, along with some sort of vaccination program. But, these basic needs are difficult to meet in Haiti. There are so many needs. There needs to be an action plan to introduce a more modern culture to Haiti. The goal of getting Haiti to pre-earthquake status is not enough. The 10,000 nongovernmental organizations that have pledged support need to work together to get Haiti back on her feet. Few of the report cards from big organizations highlight coordinated efforts with other organizations. We cannot turn our eyes and give up. We can offer a future to Haiti if all of the helping hands join together in this work. We don’t hear the word “Haiti” crop up in conversations as much as we used to. The news cycle ended, but the misery in Haiti did not. The 1.3 million homeless in Port-au-Prince sit and wait for help. There’s too much rubble for them to rebuild their homes in the city. They can’t move out of the city to build on vacant land in the countryside, because the land is privately owned, and figuring out who exactly owns the title to a piece of land is challenging in Haiti. Nor can the Port-au-Princians make a living so far out of the city, even if they’re allowed to move and build homes. Most are not farmers or ranchers by trade – their livelihoods are urban-based, not rural. The bulk of the promised reconstruction money sits in Washington and other world capitals, with only 15 percent actually in Haiti. Reports indicate that the U.S. Senate and House have voted for the funding to be available, but they failed to include language indicating how or when the funds should be spent. So, the money sits. The State Department is trying to circumvent the bureaucracy, but there’s no word on how that’s going. If you’d like to help, ask your elected officials in Washington to do whatever needs to be done to get the money for rebuilding Haiti out of D.C. and into the hands of those ready to work. Why are our most vulnerable so often our least protected? Haitian pastor Jean Guillaume, determined to help the children of Haiti, moved some orphans to a mountainous region outside of Port-au-Prince to save them from that city’s sexual predators, thugs, and imminent flooding. About 200 children will live in his tent encampment, but without funds, it’s hard to say how long he can keep them sheltered, fed, and out of harm’s way. Those 200 children are, for now, the lucky ones. They have a temporary reprieve from the daily fear they felt in Port-au-Prince, and from the floodwaters that will soon hit the capital’s tent cities. Various governing bodies from around the world, including the United States and the European Union, have pledged $9.9 billion in aid to Haiti. More than half of that will be laid out over the next 18 months to rebuild Haiti’s infrastructure, reform the agriculture industry, and rebuild hospitals, schools, and government buildings. The projects will also provide jobs for thousands who are out of work. This is good news, in a 30,000 foot level sort of way. But, we’re still left with the vulnerable—those who in any society should not be expected to care for themselves—the children. Almost half of Haiti’s population is under the age of 18. The children of Haiti are psychologically and physically worn down. What do they need right now? They need to feel safe again. They need to be safe again. They need three square meals a day, shelter from the storms, working toilets and running water, an education to lift them out of illiteracy and poverty, and someone to tuck them in at night. This is an opportunity for Haitians and the world community to change the status quo in in this weary land. Find reputable agencies that have been working in Haiti for several years and give money to them, directing that your donations be put to use in Haiti. It’s easy to pass off tragedy of this scope as a societal or governmental problem, something that can’t be solved by you or me, but ask any changemaker what it takes. He or she will tell you that it takes one person, or a small group of friends, or a family, to decide. That’s it, they just have to decide, and then they do. Weeks of misery are stretching into months for the people of Haiti. With well over 200,000 deaths, untold numbers of lingering injuries, and more than one million homeless, Haitians need the efforts put forth by the world’s people to make a difference, to get them on the road to recovery. But those efforts are falling short. The biggest obstacle has been and continues to be a lack of coordination between the many civilian and military agencies providing assistance. The problem isn’t that there’s no one to lead—there are many capable and qualified groups and individuals to lead global emergency response efforts. The problem is getting the rest of the responders to follow a leader from an agency other than their own. A recent Associated Press article reported that Haitians have enough rice and beans, but are running short on other items critical to survival, such as tents, tarps, and toilets. The World Health Organization (WHO) is immunizing unvaccinated Haitians against measles, tetanus, diphtheria, and other diseases, but officials worry that the approaching rainy season will bring with it a sharp increase in respiratory infections and malaria cases. Despite some successes, aid organizations receive thumbs down for the poorly-planned distribution of the first wave of food supplies, and the continuing lack of coordinated efforts which leave people in need with no shelter, no clean water, and no sanitation system. Many countries have called for a more unified response. Rather than several military forces, charities, and organizations scrambling to help and stepping on each other’s toes, ideas for streamlining relief efforts have included forming giant response teams based on geographic area, or giving the U.N. more power to direct a global response. Wary of eyes watching for signs of an “occupation,” it is generally agreed that it’s crucial for the local government to be restored to get normal operations up and running as soon as possible. The U.S. military, considered the most equipped to help due to Haiti’s nearness, has not offered a summary of what equipment and technology are available for relief efforts. It was criticized for slowing down entry of supply shipments in the early days of the crisis and for not communicating with the U.N. Although some problems have been remedied (the U.S. agreed to give priority to aid shipments rather than military flights), it is still a long way from integrating with other aid organizations. It may be tempting to wash our hands of this mess, but if we do, the Haitians will be the losers and there will be no winners. Contact your representatives and insist they improve coordinated efforts in Haiti. And, please keep giving to the Haitian people. We can’t turn away from so much need. Please look for a reliable charity or organization and continue to support work being done to restore and rebuild Haiti.